Pacific Ethanol, Inc. announced its agreement with Dresser-Rand to install a 3.5 megawatt cogeneration system with gradual oxidizer at its Stockton, CA plant for approximately $12 million. The cogeneration system will displace purchased electricity by using Ener-Core, Inc.'s innovative gradual oxidizer technology to convert waste gas from ethanol production and natural gas into electricity and steam. With this technology, the plant will have among the lowest air emissions in the ethanol industry. Neil Koehler, the company's president and CEO, said: "The Stockton cogeneration system will replace most of the electricity we currently purchase from the grid and will reduce our energy costs by an estimated three to four million dollars per year. This system is one of the most advanced cogeneration systems on the market and will more efficiently deliver steam and electricity to the plant while lowering emissions. Rather than destroying waste gases, we will reuse them as a source of process energy, reducing costs and improving profitability." Under the terms of the agreement, Dresser-Rand will supply two 1.75 megawatt gas turbine generators with heat recovery steam generators and two gradual oxidizers that are manufactured by Ener-Core. The combined system will replace the current use of thermal oxidizers. 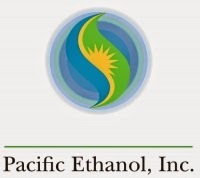 Pacific Ethanol expects the cogeneration system to be operational by the second-quarter of 2016.